Daniel J. Friedman born in Brooklyn, NY and moved to West Hartford, CT with his family as an infant. He loved West Hartford so much he decided to stay and lives there to this day with his his three sons, Maxwell, Jordan, Shea, and his 150 lb English Mastiff "dogger" Rumer. Daniel is active in the West Hartford community and has an affinity for education and sports. He is a big supporter of student athletes, specifically those at his alma mater Hall High (class of 82) and the University of Hartford. He enjoys traveling with family and spending time at the family beach house at Groton Long Point during the summer. 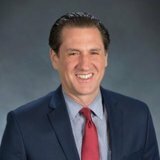 Daniel is actively involved in many local causes, amongst them his participation at Temple Sinai in Newington for over 15 years and being a supporter of the good guys and gals elected into local office in the area. He serves on the board of Risk Management and Insurance since appointed in 2013 by Governor Dannel Malloy. He firmly believes in the concept of sound mind and sound body. He recently built a gym in his garage aptly named "Opponents". He is a member of N.Y. Sports Club and a frequent visitor and fan of Max Muscle in West Hartford. Daniel understands how life imitates the world series and is a proud member of Red Sox Nation with ESPN on in the background at the office. His love of baseball extends to The Rock Cats (Yard Goats) and WMGNA always has a big turnout for their annual picnic. He also captains the WMGNA race team at the Blue Back Mitten Run. His blog “Don’t Know Don’t Care” has been featured on Nerdwallet’s “Advisor Voices” and blogs have been nationally syndicated by The Christian Science Monitor and The Chicago Tribune. Locally he has been featured in The Hartford Courant, The Herald Press, The Bristol Press, and West Hartford News. He is interviewed frequently on many TV stations, most recently (Aug 21st 2015) Fox CT 61. He delivers his opinions in an interesting and humorous manner and always has a fun and unique take...just ask him! Disclosure – Securities and advisory services offered through Triad Advisors, Inc., (Triad)Member FINRA/SIPC, a Registered Investment Advisor. Additional advisory services offered through Wealth Management Group of North America, LLC (WMGNA), a Registered Investment Advisor. WMGNA and Triad are separate and unrelated companies.